Keep your short cut neat and under control 24/7. It’s no secret: maintaining short haircuts require the help of good styling products and tools to keep the look fresh and updated. While many of these hairstyles, like the pixie cut, seem fairly easy to deal with—wake, tousle, spray on hairspray and go—there are times a few cowlicks or frizz get in the way. Not to mention that sometimes, you’ll find yourself not in the mood to whip out hot tools to update your hairstyle; you’d rather just reach for your best hair gel to slick it down and go. Ladies, we feel you – and rest assured, we all have those moments. On curly and wavy-textured hair, finding a product that will lock your style in place is a big deal. You want your curls to pop and show off your gorgeous pattern. After all, your texture is what really makes the look! If your idea of a curly crop is one that’s full of defined ringlets that withstand humidity, try TRESemmé Runway Collection Make Waves Sculpt & Define Spray Gel (£5.50*). To style: Work gel through damp hair before using a diffuser or leave to air-dry. 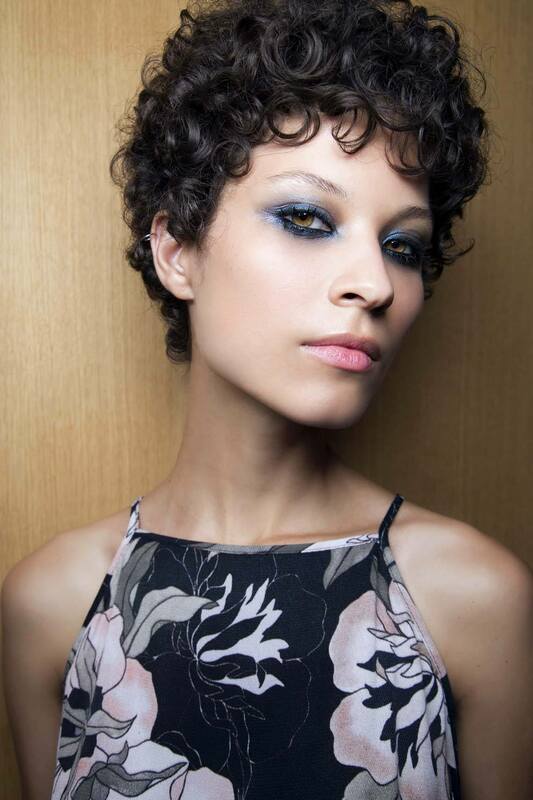 Your curls or waves should snap right into place. If they don’t, use your fingers to form the bend you desire then let them dry. People think straight hair is so obedient, and that passing your hand across the surface will make it stay in place. However, that’s not always the case (yeah, you know what we’re talking about!). Keep those mean cowlicks in total control; you’re the boss around here! Give those pesky stray hairs some strong hold or keep your layers in check. The VO5 Classic Styling Mega Hold Gel Spray (£2.99*) provides a strong, all-day hold, sans the sticky look and feeling. To style: Apply a small amount of gel to the piecey or shorter parts of your hair to lock the style in place and keep flyaways at bay. Your slick-back action is equivalent to a long haired girl’s ballerina bun. Whip it real hard and go! We told you that we totally understand; you’re entitled just like anyone else. But no one needs to really know you didn’t want to tidy up your look before you left the house. Keep it neat, keep it clean. We recommend going for strong-holding gel to help lock in your sleek and straight style. Seriously, do you even need any extra effort for this cool and laid-back look? Our advice is to let your hair gel do all the talking. To style: Comb hair back using a fine-toothed comb or comb to either side (left or right), then smooth the gel onto your hair to set your slicked back hairstyle into place. In a hurry? Blow-dry on a low heat setting with a hairdryer that has a concentration nozzle attached (like the Toni&Guy Daily Conditioning Dryer) to speed up the drying process.